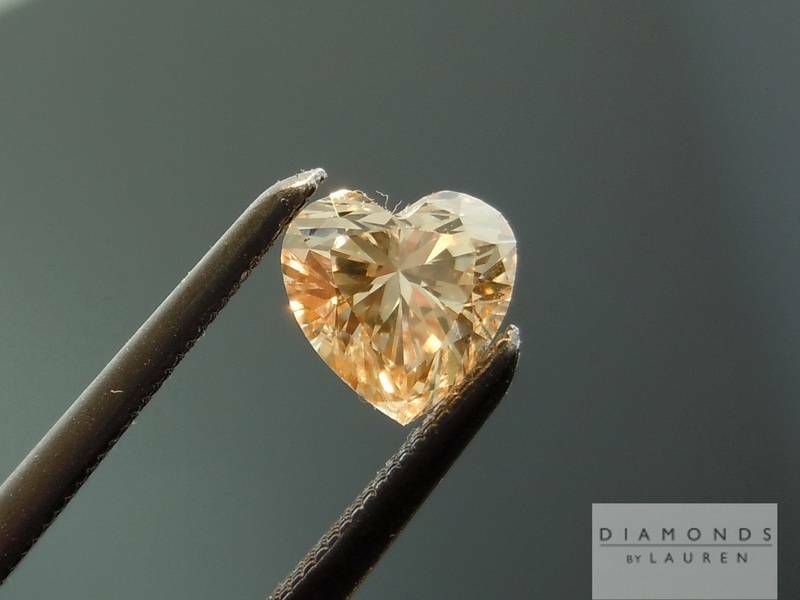 As regular readers know we are big advocates of GIA grading. 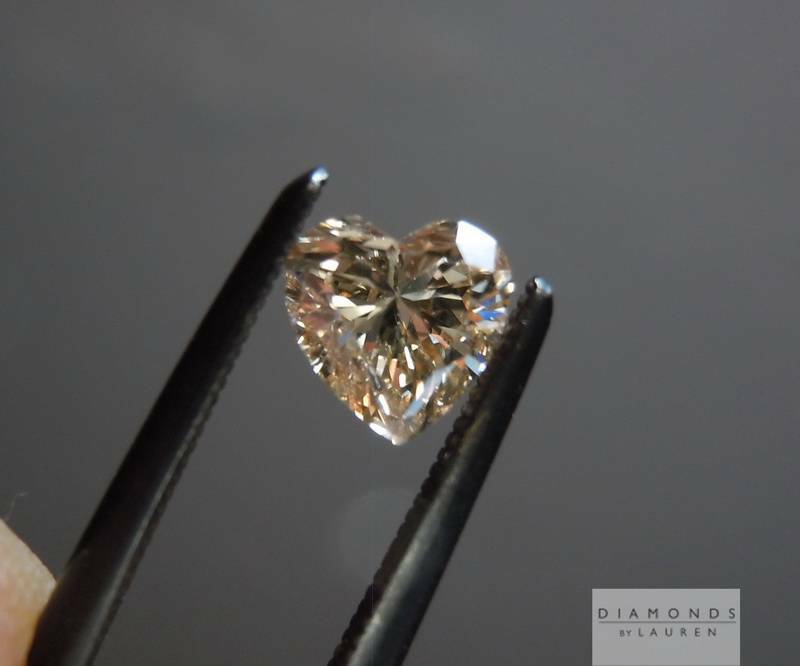 In the case of some very reasonably priced diamonds, our cutter has used IGI for consultation reports - which cost very little , and give us some useful info with measurements and color origin. 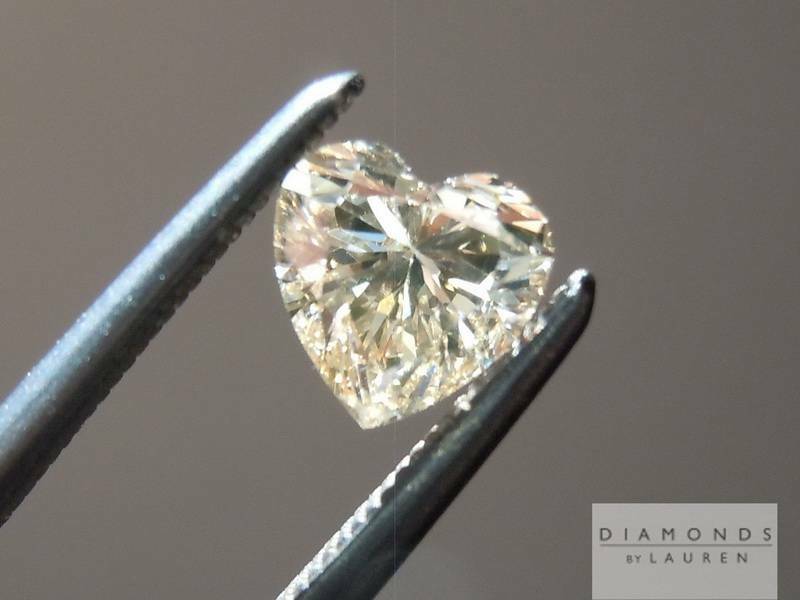 We grade each diamond ourselves. 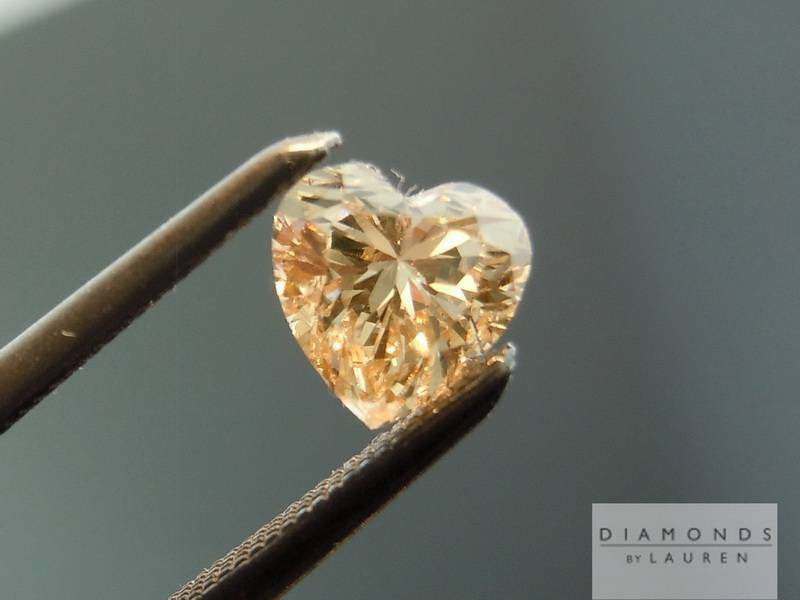 If we do not agree with a non GIA lab's assessment we offer, and price the diamond graded as we see it. In this case we agree with IGI on both color and clarity. 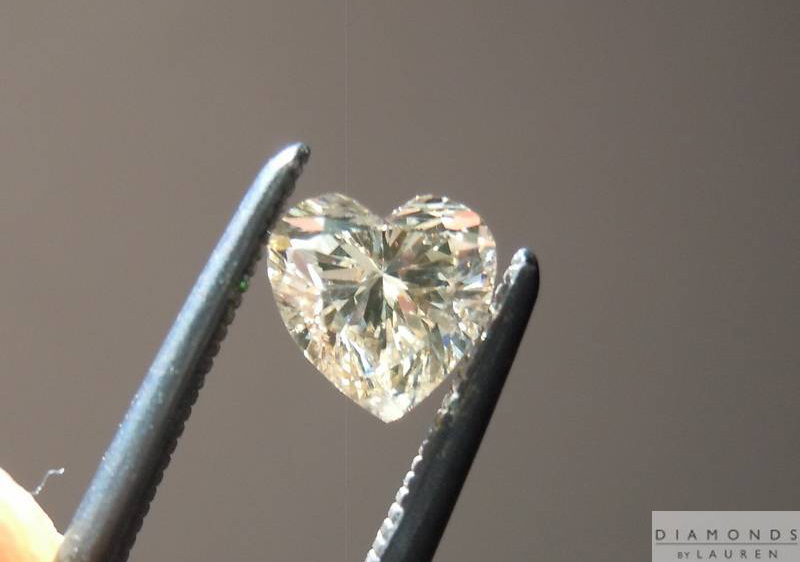 It is a lovely shape, and great cut for a heart. 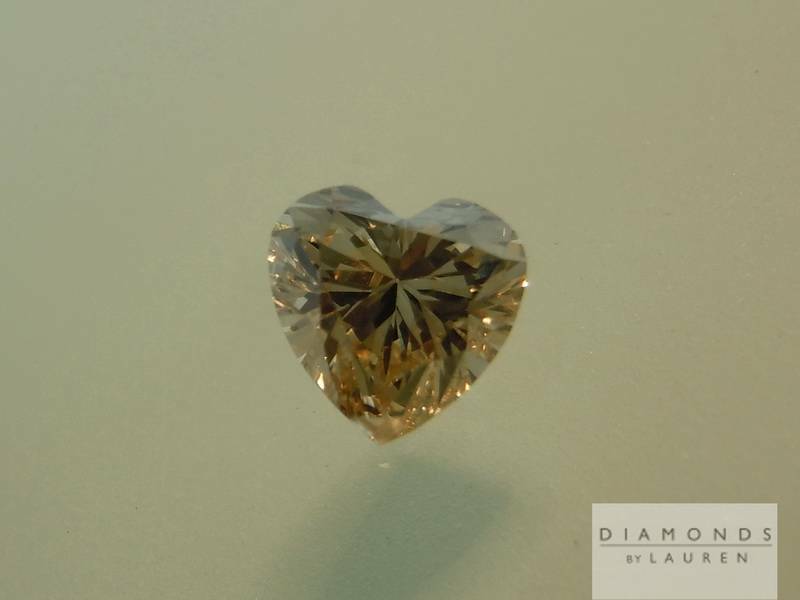 The shape is very distinctive, in spite of the fact it is only .52cts. 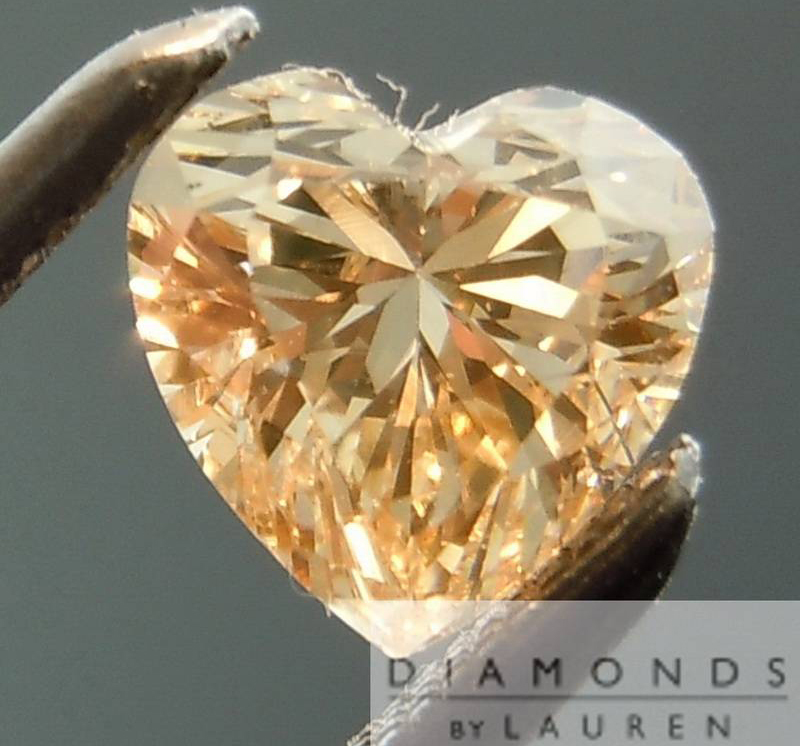 There is a lot of sparkle - this stone really caught my eye due to that sparkle.